Lomakeskuksessa on rantaravintola / baari, jossa voit syödä / juoda ($) tai vain valmistaa omat ateriasi kodikkaaseen keittiöön. Monet sukellus kaupoissa (Infinity Bay, TGI Sukellus, Bananarama jne ..) kävelymatkojen pystyy päässä rannalla. Roatan on toiseksi suurin koralliriutta jälkeen Australiassa. Snorklausvarusteet voi myös vuokrata suoraan rannalla. Jos haluat käydä West End (paikallinen kylä), Infinity Bay on vain 5 minuutin veden taksilla (3 dollaria / henkilö) päässä. Voit myös käydä eläintarhassa, Iguana Farm, Canopy. Matkat ovat myös saatavilla vastaanotosta. ainoa paikka Pure juomakelpoista vesijohtovettä -laatu rannalla -Proximity ravintoloita / baareja / convinience varastoija -Proximity Dive kauppoja -Breath ottaen hämmästyttävän ranta-Eco friendly resort -Kaunis maisema. My friend and I loved everything about our stay at Infinity Bay and the unit we stay in specifically. As 2 senior citizens, we have been to many beach locales and resorts over the years with our family and extended families and friends. We both agreed that Infinity Bay has everything for all generations and is the best we have ever experienced! Fantastic diving and snorkeling right off the beach! Incredible food, especially breakfast! 5 stars for cleanliness! No bugs! I could go on and on. In addition, early on medical attention was required. A doctor arrived within the hour of our first picking up the phone and calling the desk. The unit itself was perfectly situated in bldg 19 towards the back or front of the resort depending on how you viewed it. Quiet..away from the noise of the beach bar at night, and a short walk from the West Bay Mall along the road. We three adults stayed one week in this spacious 2nd floor condo. The bedroom area has LOTS of storage, the mattress must be new, and we appreciated being close to the front desk area and dive shop. Thanks for making this another great week in sunny Roatan! Wonderful two weeks stay. Lots of great snorkeling including at night a couple of times seeing octopus, lobsters, pufferfish, lionfish and flounders. Great day renting a car and going to the Sloth Sanctuary and the Iguana sanctuary. Those are definitely must dos! Also a great day at West End. Very nice 1 bedroom condo, all the amenities a person could want. This is a nice condo in a top notch facility. 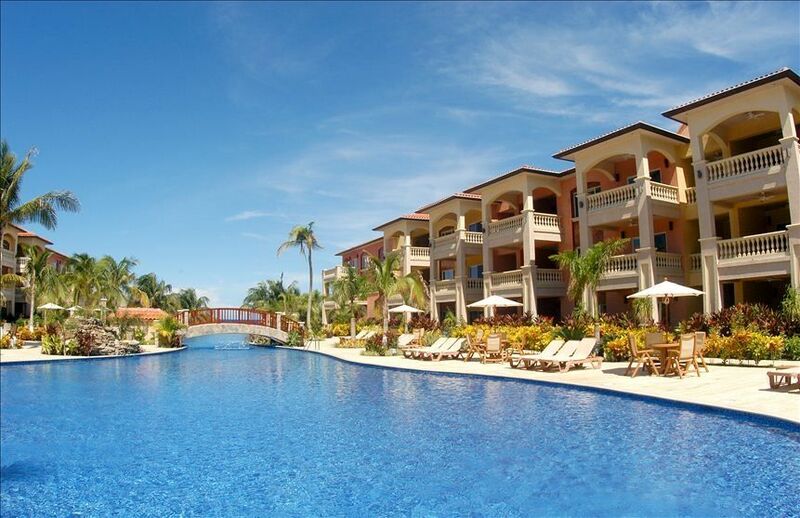 Infinity Bay is well maintained, has a nice pool, lots of amenities. The price is also reasonable. Tourist tax is expensive, but it would be the same anywhere on the island. The internet is a little slow and occasionally off, so if staying connected is important to you, don't go to Roatan. We stayed in Unit 1903 at Infinity Bay and it was awesome. I have stayed at Infinity Bay 6 times previously with all of my stays being in units a lot closer to the beach and the pool bar. Unit 1903 is at the back of the property closer to the hotel desk area and I loved it. The Unit is very quiet and peaceful, while the units that are closer to the beach and pool are much louder. When I go on vacation I like to have times of peace and quiet. You will get peace and quiet in Unit 1903. Don't worry that you are farther from the beach or the pool because at Infinity Bay it does not matter. Unit 1903 is only a few steps away from the pool and a very, very short walk to the beach. The unit was very clean and has everything that you will need. The unit is also close to the new fitness gym. The next time I go to Infinity Bay, I will stay in Unit 1903. Staying at Giles' in Infinity Bay was so easy, convenient and totally comfortable! The unit is quiet and private, near the gym and main building which was perfect for us as early risers. We'd work out, grab breakfast at Mangiamo's market and be at the reef by 9am! Being at Infinity Bay we had access to the most gorgeous section of the reef. We only got out of the water to grab a ceviche at the beach bar/restaurant Palapa's. Even with the bit of stormy weather we had plenty of reef time, fishing and time to walk to West End to shop the little shops. Giles had everything we needed -- coffee maker, housecleaning. We had a nice Thanksgiving dinner at the restaurant, and we took tuna we caught to the restaurant for them to grill up for us a couple of times. Thanks Giles - it was lovely! Thank you very much for your review :-). PRICE ARE IN US $ transportation from/to airport included Cleaning fee of $46.21 payable at front desk on arrival An additional 19% Honduran tax is due to the resort at time of check in by cash or credit card (will be collect by front desk) We do not collect this fee.